In the Middle East, the hope for democratic change has been replaced by the fear of Islamist autocracy. 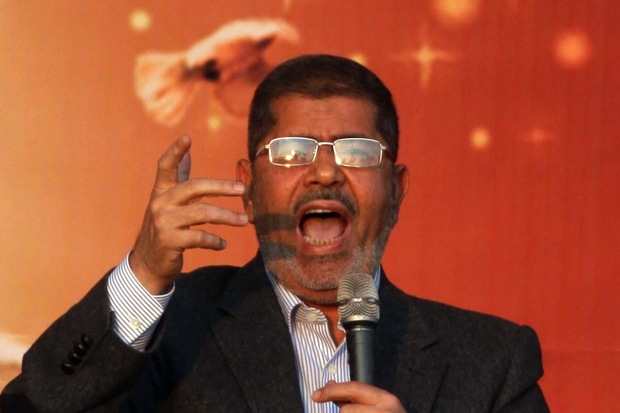 The role models for Mohammed Morsi are Egypt’s former secular strongmen. Clashes between secularists and Morsi’s supporters soon broke out. The military reacted by asserting that “they did not want to intervene in a political matter between opposed factions.” Yet two things became clear very soon: first, the military is still the only force capable of guaranteeing order. As Rami G. Khouri suggested in The Daily Star, Morsi and his Muslim Brotherhood are still relatively inexperienced “amateurs” that easily lost control of the square. Second, an agreement with the military could have been worse for Morsi and his allies than negotiating a truce with the opposition. In the end, the president opted to retire his proposed decree. Yet we cannot dismiss the events in Cairo as an isolated story. Morsi’s aspiration to absolute power may be the signal of a new, overarching tendency: that of “Islamist dictatorships.” For some time, the discussion about the “new political forms” in the Middle East has been about the substitution of “Arab Presidents” with new structures that were supposedly more capable of representing popular will. Some claimed that the “Turkish model” would prevail: moderate Islamist parties would introduce reforms that drew on religious arguments, but that largely preserved the democratic form of the state. But it seems now that the model of new Islamist president is largely reminiscent of… Arab presidents. Morsi’s move resembles the tactics of Gamal Abdel Nasser – Egypt’s president from 1954 to 1970 – who centralized power after claiming that “there is a period of emergency.” Gaddafi in Libya pursued a similar strategy, and strange king-dictator hybrid models exist in some countries of the Middle East even today. After the fall of the Ottoman Empire, when the Arab (and Persian) world was set to reach a new age of political modernity, discussions erupted mostly between the factions backing “Arabism” and “Islamism,” respectively. Sati al-Husri (1880-1967), the father of Arabist ideology, believed that Islamism was not able to guarantee national unity because of the strong cultural and linguistic differences throughout the Arab world. Arabism was conceived to guarantee a reliable mix of authoritative independence and political participation, which would be capable of delivering modernization. But Arabism turned into Arab dictatorships. It is now providing the historical framework for the rise of contemporary Islamist politics. Morsi himself is a child of decades of Egyptian super-presidential rule: he cannot conceive of any other political approach besides the centralization of power. As François Burgat has argued, “Islamism is effectively the reincarnation of an older Arab nationalism, clothed in imagery considered more indigenous.” He wrote this ten years ago. Bravo, Burgat. It may already seem like the time has come to say goodbye to the idea of “Islamist democracies.” It seems that elections are too often used by strongmen as means to seize power and impose exclusive policies. In this regard, the current generation of Islamists is no different than their secular predecessors. Arab dictators have pursued this strategy for a long time. In Turkey, Prime Minister Recep Tayyp Erdogan has repeatedly enjoyed a free hand to introduce constitutional changes that concentrated power in his hands. The military, traditionally the “keepers of Turkish secular order” (and the driving force between three coups d’etat since the end of World War II) did not intervene, and an attempt orchestrate an overthrow from within the ranks of the army has recently been terminated by the judiciary with the conviction of 330 military officers last September. Compared to Morsi, Erdogan played it smart. The first thing he did, before instituting reforms, was to ensure the loyalty of the judges. In Egypt, by contrast, the judiciary argued for the “unconstitutionality” of Morsi’s decree. The constitutional court now stands as the last refuge of secularist representation. Once Morsi succeeds in overcoming this obstacle, the time of Islamist dictators will come.